Hurray for new APIOPA sustainer Sedora! We are SO excited to share that long-time friend Sedora Tantraphol has become our newest sustainer! 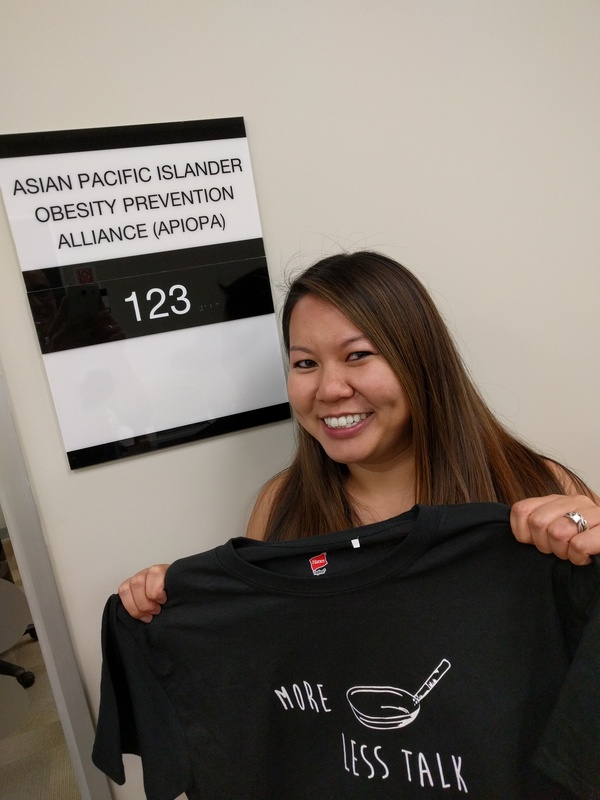 Sedora has been a big advocate of what APIOPA fights for and, because she’s holding this shirt up in this picture you know we have to say it…she walks the walk! During the day, Sedora works for Moonsail North, where she specializes in helping organizations build their capacity to promote the well-being of communities. By night she helps groups like APIOPA take our work to the next level by volunteering countless hours on our fundraising board. We are very fortunate to have this modern-day superheroine pushing our work forward! What’s a sustainer you might ask? Sustainers are awesome people who decide to contribute any amount monthly to help support the great work we do at APIOPA. Whether it’s being able to make a healthy dinner for the family, or being able to safely walk or bike in your own neighborhood, APIOPA works hard to change environments so that every API family has a chance for good health! Being a sustainer like Sedora, means you believe in us and want to be part of this movement! If you are interested in becoming as awesome as Sedora, become a sustainer by clicking here!